Managing employees in times of stress is a great morale booster and can keep your business functioning efficiently. Neglecting stressed employees can lead to decreased productivity, increased number of sick days, and conflict between coworkers. If you notice the signs of a stressed employee, ask the person to meet with you in your office. Do not approach the person in front of other employees. Let the stressed person know that you've noticed that he/she has not been feeling well and you want to help. Opening up discussion on this subject invites the person to share what is really going on and how you can help. It may be as simple as relieving some of the employee's duties or letting the person take a day off to recoup. Once you've identified what is stressing your employee, it's important to create a plan to help him/her feel better and combat future stress. This is something you should do with your employee because each person deals with stress differently. Once the plan is put into place, take some time to encourage your employee to follow it. Give the person a pep talk and remind him/her what to work on each day to relieve stress. After a couple of days or a week, meet with the employee again to identify whether your worker is feeling any less stressed. If not, reviewing the plan you two created to change it may help. 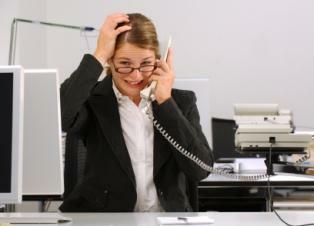 If you meet with an employee who seems stressed but denies it, there is not much more you can do. You can only help as much as the person wants to be helped. Let your worker know that you have an open door policy, meaning you are always available to discuss problems he/she has. It may also be helpful to hold a group meeting to discuss stress in general. Managing employees in times of stress can also be done in a group setting in addition to individually. Learn about work related stress and stress management techniques that your workers can do while at work and at home. Schedule a meeting and make it mandatory. If you make it voluntary, some people (usually the ones who are most stressed) will forgo it even though they are the ones that need it the most. While helping your workers, make sure to keep your own stress in check. You will find it difficult to deal with others' stress if you are trying to overcome it yourself. Find appropriate outlets for your own problems and practice stress management.